You need money. Mother Earth needs you. It’s a match made in recycling heaven. Across Los Angeles, there are opportunities to make cash by recycling bottles, cans and even electronics. All you have to do is know the rules and where to take the goods and you can put some extra money in your pocket while you’re doing a good thing for the planet. Let’s begin with getting a CRV on beverage containers. “CRV” is an acronym for California Redemption Value. You’ll notice on everything from bottled water to energy drinks a CRV of either five cents (for containers that hold less than 24 ounces) or 10 cents (for containers that hold 24 ounces or more). When you buy a six-pack of soda, for example, there will be a CRV charge on your grocery store receipt. The CRV is a deposit that the consumer is putting down on the containers—a deposit that anyone who brings the containers to a recycling facility can recover. According to CalRecycle, Californians buy more than 20 billion CRV containers a year and recycle 18 billion of them. That means three billion CRV containers are out there, somewhere, worth five or ten cents each. Think about how many containers you use each year, and how many of your friends, neighbors, and coworkers use. 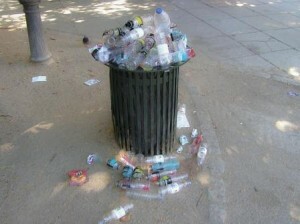 Many people put their recycling into curbside bins each week, never cashing in all those deposits. While it’s great to recycle curbside, you may as well be the one to benefit from “going green” by making some money. You can find a local recycling center by checking this link or simply calling 1-800-RECYCLE. On any given trip, you are allowed to bring up to 50 containers (which must be sorted) of each type—aluminum, glass, plastic, and bi-metal—for cash CRV as long as you request that at the recycling center. 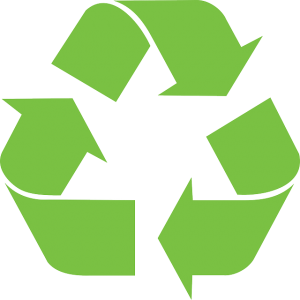 If you have more than 50 containers of any particular type to recycle, you can do that for the current rate offered per pound for “commingled” (mixed) containers. The current rate is listed at this link. Let’s say you ask your neighbors and coworkers to contribute their CRV containers to your personal “recycling drive.” We’ll use an average of 7.5 cents per bottle and multiply that by 200 in a given trip. That’s $15. Now, if you can find a recycling center that’s on your way to school or work, and bring in 200 containers per week, you’ll make $720 over the course of a year, more if you add commingled containers. It’s not a fortune, but in this example, it’s $60 a month. Water bottles and soda cans are not the only things that you can recycle for cash. In West LA, Recycle My Machine pays cash on the spot for electronics including used or broken hard drives, phones, fitness bands, camera lenses and more. What’s great about this service is that you don’t have to mail your electronics off and wait for an estimate; just take your old, unwanted electronics in and leave with cash. It’s recycling for the modern age. It turns out that what’s good for the planet can be good for your wallet. Take a look around the house, start saving up those empty bottles, and cash in. You’ll have a little extra “green” as a result.